I love Idlis and I do make them often, sometimes from scratch and sometimes from the store bought batter. And whenever I have just couple of leftover idlis then I enjoy them with nice and spicy Green Chili-Lemon pickle. That combination is to die for! 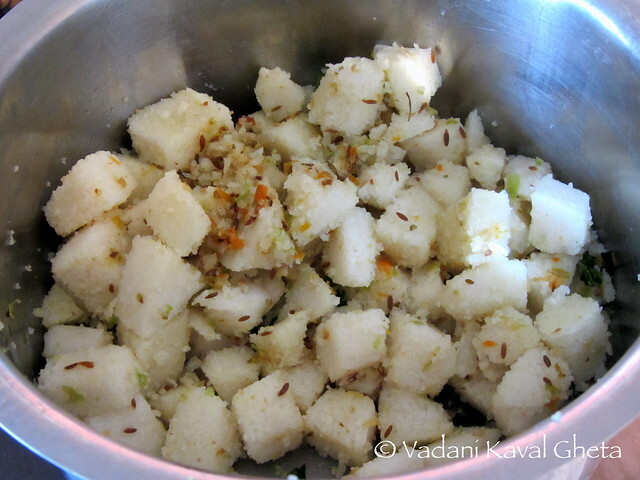 And back in India I used to add dollop of home churned butter to it and that is for me heaven on the plate! Another way to use up lots of leftover idlis is to make idly fry! No I am not going to tell you to 'dip perfectly good idli in perfectly good pakoda batter and deep fry' technic! This is my mom's recipe and I only like idli fry prepared this way, simple, tasty and without fuss! I have eaten idli upama, idly fry with some podis etc. but those are not for me! This recipe is as simple as it can get. Cube idlis into 1/2" square. Grind green chilies, salt and cumin seeds to coarse paste. Do not use water to grind chilies. Heat oil in heavy bottom pan. Once oil is hot enough, add ground chili mixture. Quickly give a stir without burning the chilies. Now add cubed idli pieces. 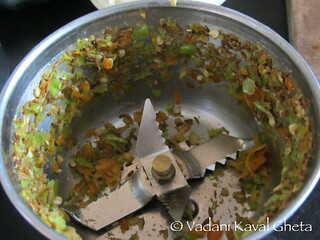 Mix thoroughly, and saute until idli pieces are coated with oil and chili mixture. Now lower the heat and cover. Let it cook/steam for 3-4 minutes. Remove cover and mix once or twice. Adjust salt if needed. 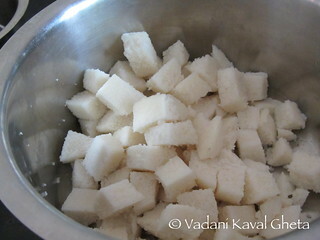 Make sure idli are not cold, if not cover and cook for few more minutes! We rarely add any other phodani/tempering items to this dish. I prefer getting leftover idlis to room temperature before making idly fry. I like it spicy and enjoy with hot cup of tea.